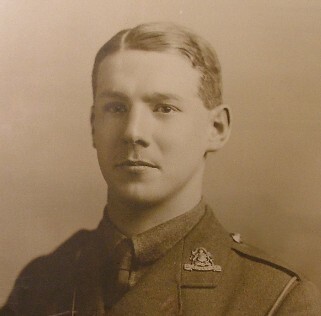 Lieutenant William Ellis Gomersall, of the 22nd Manchester Regiment, was killed in action on 1st July 1916, in the advance on Mametz. He was 21 years old. Uncle William was born in November 1894 in Hellifield in the Craven country of Yorkshire, but his family moved to Urmston near Manchester soon after. He went to Manchester Grammar School, and matriculated in Classics in 1911. He worked with a firm of chartered Accountants until the outbreak of war, when he enlisted as a private. After several months training he was offered a commission, and after further training, on 15th May 1915 he was promoted to Lieutenant with the 22nd Manchester regiment. A few months later he followed his regiment to France. I have organized the letters by month, the letters from November 1915 to May 1916 are in their typed versions. As I have no typed versions of the June 1916 letters, I have simply scanned the original letters, as hand-written by Uncle William from the trenches.